Suffrajitsu: Mrs. Pankhurst’s Amazons is an action/adventure graphic novel trilogy first published by Jet City Comics on January 28, 2015. Set primarily in London during the year 1914, the Suffrajitsu trilogy relates the adventures of Miss Persephone Wright and her team of Amazons; women trained in the martial art of Bartitsu, who serve as bodyguards and field agents for the leaders of the radical women’s rights movement. Many of the events portrayed in Book 1 are inspired by historical reality and many of the characters are fictional versions of historically real people. Suffrajitsu: Mrs. Pankhurst’s Amazons is part of the Foreworld Saga shared-world multimedia fiction series initiated by authors Neal Stephenson and Mark Teppo. The Suffrajitsu trilogy is available in e-book format from Amazon.com and international Amazon branches as well as from comiXology. It is also available in the print anthology Blood and Honor: The Foreworld Saga Graphic Novels. Suffrajitsu author Tony Wolf is an experienced interview subject in print and other media. Guest posts, etc. can also be arranged. Tony’s action design and choreography have been featured in over 200 theatrical, feature film, television and video game productions, including the Lord of the Rings film trilogy. He has written and/or edited nine books including works of historical non-fiction and play scripts as well as numerous essays and articles for websites, journals and encyclopedias. 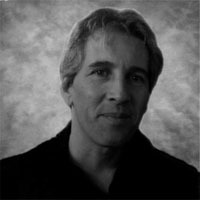 A New Zealand citizen and US resident, Tony was a pioneer of motion capture action design and has been instrumental in the modern revival of Bartitsu, the “lost martial art of Sherlock Holmes”. Joao has been a freelance artist for over ten years, whose credits include The Secret History of the Foot Clan, a Teenage Mutant Ninja Turtles miniseries for IDW; KaBOOMbox, a crowd-funded project through the comic artist collaboration known as Brand New Nostalgia; and ROBOCOP: Memento Mori at BOOM Studios. He has received numerous nominations for Brazil’s HQMix Award and resides in Porto Alegre in southern Brazil. Boom! Studios is a New York Times best-selling comic book and graphic novel publisher headquartered in Los Angeles, California, United States. The publisher has been named “Best Publisher” in 4 out of the last 5 years by Diamond Comic Distributors.